Has a clogged toilet or sewage backup from the shower drain thrown your daily routine out-of-gear? One of the probable reasons for the problem is malfunctioning of the septic system. Call VAC-TEC LLC. for septic system inspection and emergency septic repair, if required. 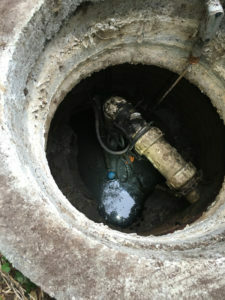 Septic problems can crop up anytime, but cannot wait long to be fixed. 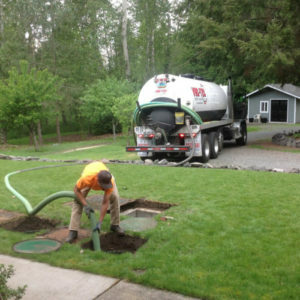 We are available 24 hours a day, 7 days a week for emergency septic repair services in Kent, WA. A quick call from you brings our technician immediately to your home to get the septic system up & running. Do not hesitate to call us if you urgently need septic tank pumping and septic tank cleaning in your home. Besides being there round-the-clock for emergency septic repair, we also provide 24/7 emergency septic pumping & cleaning services for Kent homeowners. It is necessary to get your septic tank pumped to remove the sludge buildup in it every three to five years. 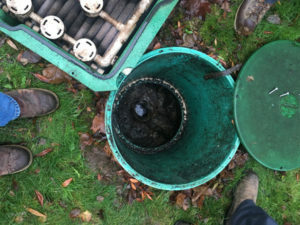 Ignoring this can result in septic line clogging and system failure. That is when we step in with emergency septic pumping & cleaning services. You cannot forget emptying the septic tank if you want unhindered waste management in your home. Besides hiring us for septic tank pumping at the recommended time-intervals, you should also call us for emergency septic pumping & cleaning in your Kent home on observing signs indicating that the tank might be getting full. We assure you of prompt, efficient and fair-priced emergency septic pumping & cleaning services. Contact VAC-TEC LLC. at (206) 339-0039 for emergency septic repair or emergency septic pumping & cleaning services in Kent.